Close-up of blossomed flower with spines. Ornamental thorny plant with yellow bloom. 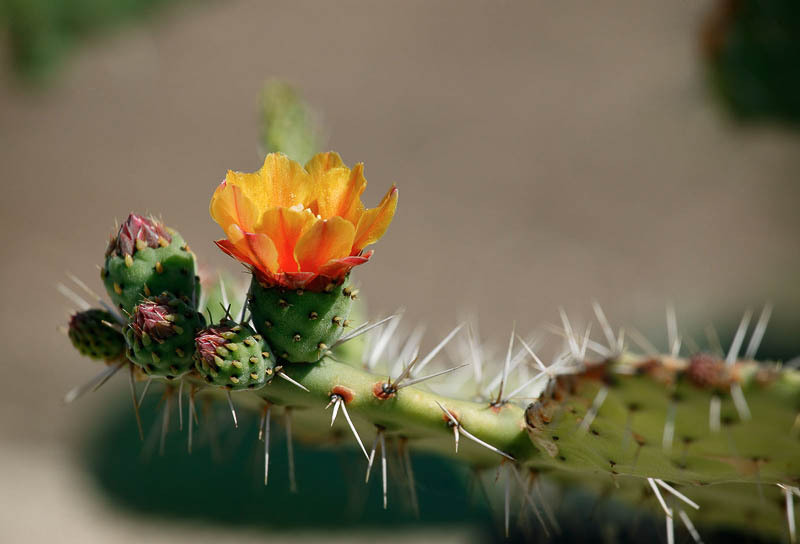 Desert flower with prickles on stem. Botany, flora.